Seasonal influenza, commonly called “the flu,” is caused by influenza viruses, which infect the respiratory tract (i.e., the nose, throat, lungs). Unlike many other viral respiratory infections, such as the common cold, the flu can cause severe illness and life-threatening complications in many people. Influenza occurs globally with an annual attack rate estimated at 5%–10% in adults and 20%–30% in children. School children and college students. Hotel/Hospital staff and industrial workers. Those traveling frequently by public transport. Complications of flu can include bacterial pneumonia, ear infections, sinus infections, dehydration and worsening of congestive heart failure, asthma or diabetes. Stomach symptoms such as vomiting, diarrhea and nausea can also occur but are more common in children. There are two types viz...Injectable and intra-nasal vaccine. The intra-nasal vaccine is given as spray into the nostrils. The intra-nasal route of administration helps avoid reactions and pain associated with injections. It also mimics the way the virus attacks and therefore offers some unique advantages. In the USA and Russia, where the intra-nasal vaccine is available, children obviously like it. 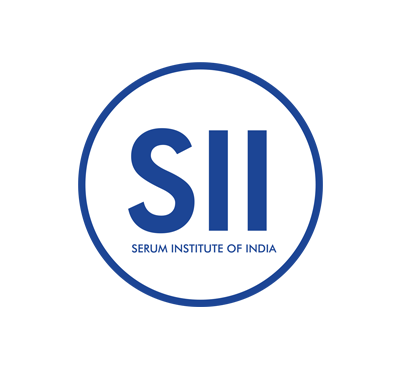 Serum Institute of India is amongst the world’s leading vaccine manufactures has developed an intra-nasal live vaccine. The recommended viral strains were obtained from the WHO. Yes, certainly. Injectable vaccines protect only at the level of the blood by producing antibodies. While the intranasal vaccine offers protection at two levels viz the local level mucosal immunity (the nasal tract) and the blood by producing antibodies. Due to this, when the disease virus attacks it gets neutralized at its points of entry i.e. the nasal tract. If it does manage to pass the first line of defense, it gets neutralized in the blood. If a person is protected with an injectable vaccine and the virus attacks, then the virus will enter through nose, initially multiply, infect and then its gets neutralized when it reaches the blood. The person will be protected overall but may spread the disease in the initial period. Several studies have proved that the clinical efficacy of intranasal vaccine is superior to that of injectable vaccine. ecause flu season vary in length and severity, you may go for flu vaccine dose as soon as the vaccine is available and throughout the entire flu season. The flu viruses are constantly changing .Generally new influenza virus strains circulate every flu season. Each Year, before flu season, the most recent circulating viruses are identified by the World Health Organization [WHO] and included in a new vaccine formula order to offer the best protection. The vaccine is known to be safe in children from 2 to 17 years of age and is not licensed for use in children younger than 2. LAIV has been approved for use in healthy adults and Elderly also (without a history of egg allergies or asthma).